A mass shooting in February sparked student walkouts throughout the country calling for tougher gun restrictions. • Feb. 14, 2018: Authorities say a former student killed 17 people, including 14 children and three staff members, at Marjory Stoneman Douglas High School in Parkland, Florida. Nikolas Cruz, 19, faces 17 counts of first-degree murder in the attack, which sparked student walkouts throughout the country calling for tougher gun restrictions. • Jan. 23, 2018: Two students were killed and 14 were wounded by gunfire when a student opened fire before classes began at Marshall County High School in western Kentucky, authorities said. Gabriel Ross Parker, who was 15 at the time of the attack, is charged with two counts of murder and 14 counts of assault. • Dec. 7, 2017: Two students at Aztec High School in New Mexico were killed by a 21-year-old gunman disguised as a student. Police said the shooter later killed himself. • Sept. 13, 2017: A 15-year-old boy was killed at Freeman High School in Rockford, Washington, and three female students were wounded when authorities say another 15-year-old boy opened fire with a handgun. A suspect was arrested. • April 10, 2017: A gunman opened fire in the special education classroom of his estranged wife at North Park Elementary School in San Bernardino, California, killing her and an 8-year-old boy, and wounding another child. The gunman then fatally shot himself. 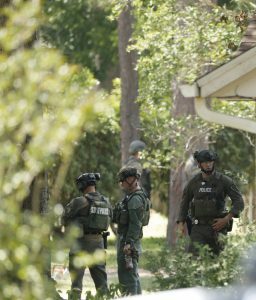 • Sept. 28, 2016: A 6-year-old boy was fatally shot on the playground of Townville Elementary School in South Carolina by a 14-year-old boy who had just killed his father, authorities said. Another child and a teacher were struck by bullets but survived. The teen was charged with murder. 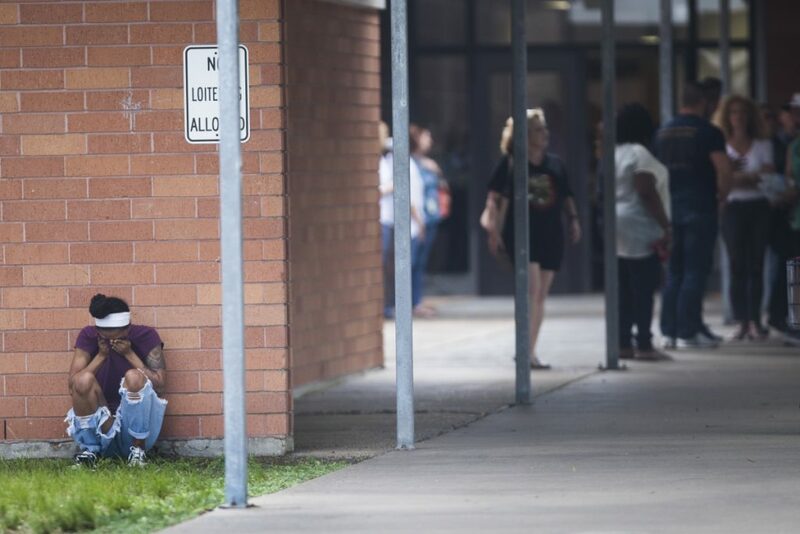 • Sept 8, 2016: A 14-year-old girl died of a self-inflicted gunshot wound after shooting and wounding another female student at Alpine High School in West Texas. • Dec. 14, 2012. A 20-year-old gunman killed 20 first-grade children and six educators inside Sandy Hook Elementary School in Newtown, Connecticut, and then killed himself. He also fatally shot his mother before entering the school. • Feb. 27, 2012: Three students were killed and two wounded in a shooting that started in a school cafeteria in Chardon, Ohio, as students waited for buses to other schools. Police charged a suspect, 17 at the time, as an adult. • April 16, 2007: Twenty-three-year-old Seung-Hui Cho fatally shot 32 people in a dorm and a classroom at Virginia Tech in Blacksburg, and then killed himself. • April 20, 1999: Students Eric Harris, 18, and Dylan Klebold, 17, opened fire at Columbine High School in Littleton, Colorado, killing 12 classmates and a teacher and wounding 26 others before killing themselves in the school’s library. • Dec. 1, 1997: Three students were killed and five wounded at a high school in West Paducah, Kentucky. Michael Carneal, then 14, later pleaded guilty but mentally ill to murder and is serving life in prison.